Disney/Pixar are no doubt geniuses and keeping the Toy Story line alive with television specials (and shorts) does the trick — to go along with the upcoming “Toy Story Land” at Disney World — so when the fourth installment gets released (set for 2018) it’ll still be relevant. 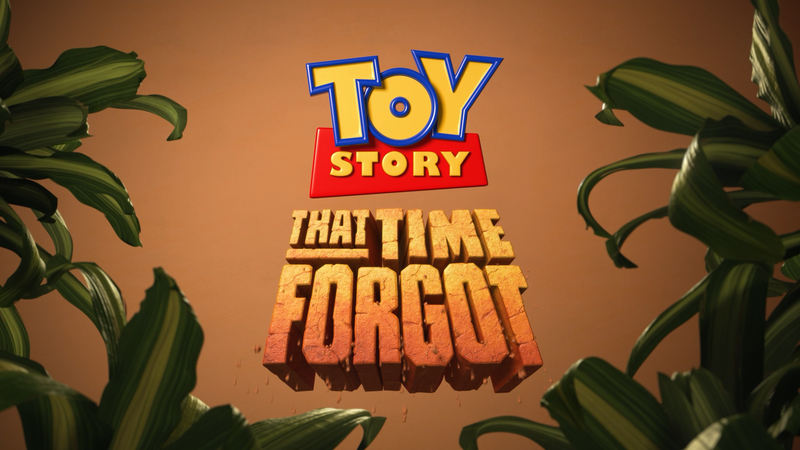 Following the success of Toy Story of Terror Halloween special, along with the “Toy Story Toons”, we get Toy Story That Time Forgot, a quasi-Christmas special that isn’t quite as strong but still a lot of fun. The story, no pun intended, this go around is focused on triceratops Trixie (KRISTEN SCHAAL) who yearns to be played with as a dinosaur but is not. 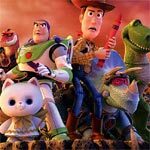 When she and her friends — Woody (TOM HANKS), Buzz Lightyear (TIM ALLEN), Rex (WALLACE SHAWN) and Angel Kitty (EMMA HUDAK) — go to Bonnie’s friend’s home for a play date, they meet a civilization of dinos named Battlesaurs. Bonnie of course is in heaven especially after meeting Reptillus Maximus (KEVIN MCKIDD), one of the leaders, along with the nefarious vulture-like creature named The Cleric (STEVE PURCELL). But things are not as they seem especially when considering the Battlesaurs don’t know they are toys and take things uber-seriously. Quick Hit Review: Although this wasn’t as strong as Toy Story of Terror or even a couple of the “Toy Story Toons” shorts, it’s still a fun special that reminds you why these characters are so great and that there’s more to tell from them. 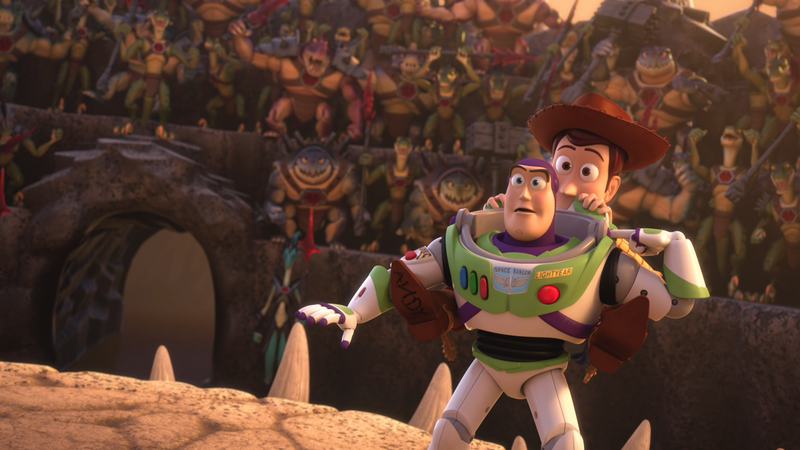 It also gives me hope that the eventual Toy Story 4 will continue the series’ success. This release comes with an embossed slip cover. Inside is a code for a Digital Copy. Audio Commentary – Writer/Director Steve Purcell and Head of Story Derek Thompson provide a brisk but informative track detailing some of the story ideas and bits of animation shown in the special. Reptillus! 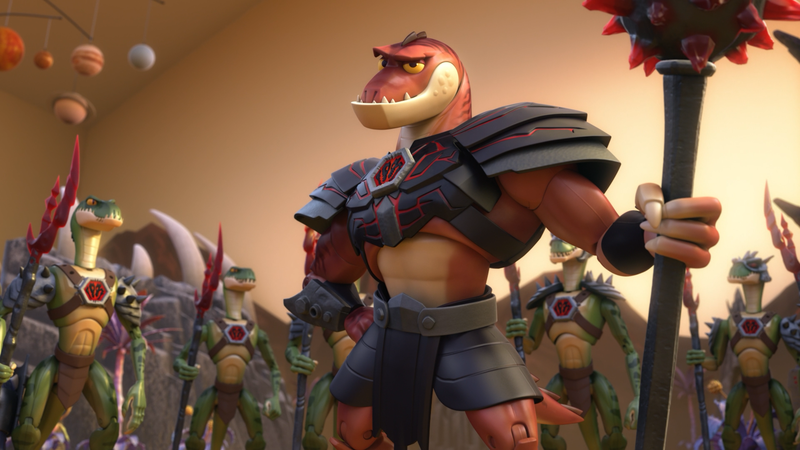 (10:51; HD) is a featurette on the Battlesaurs toys and in particular, the new character Reptillus Maximus and his history. Toy Story Goes to Comic-Con (3:39; HD) is some behind-the-scenes footage of the filmmakers at the San Diego Comic Con to promote the short. Karaoke: My Unexpected Friend allows you to sing along to the song or watch Repillus do it. Battlesaurs Animated Opening (0:50; HD) is a fun mock opening for the fictional animated TV series. Deleted Scenes (9:25; HD) include five scenes cut probably for time constraints and include intros to each from Purcell. Buena Vista Home Entertainment releases Toy Story That Time Forgot onto Blu-ray shown in its originally televised 1.78 widescreen aspect ratio and a 1080p high-definition transfer. As one would expect, this animated short looks great in HD with bright colors and good and sharp detail level throughout. The movie gets a variety of tracks to choose from. First there are 5.1 and 7.1 channel DTS-HD Master Audio tracks with the former, despite being second on the disc, being the default so if you want the 7.1 version, you’ll need to select it on the menu. Either way, these are both adequate though not entirely strong. Dialogue levels are decent enough but ambient noises and the score, which comprise most of the front and rear channels, aren’t entirely dynamic and the LFE channel rarely kicked in. French and Spanish Dolby Digital 5.1 tracks also available. 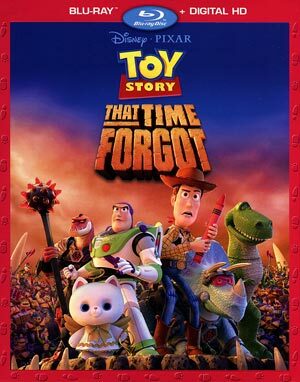 Overall, Toy Story That Time Forgot isn’t as good as Toy Story of Terror but it’s still a fun little short special where you get to see our old friends together again with a nicely constructed story and good voice work, in particular Kevin McKidd. Given the low $15 MSRP, this has the right amount of bonus material as well as good video/audio transfers to make it worth a purchase.